Just outside Cascais, the Sintra mountain range rises from the Atlantic shoreline and hosts a protected natural park of rocky mountain scenery and lush green hills. Perched at one of its highest points in a dramatic location overlooking the surrounding area is the town of Sintra, home to some of the most unusual, elaborate and attractive architecture in Portugal. 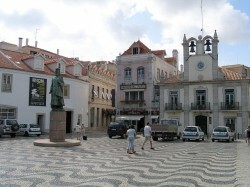 For as long as five centuries the Portuguese royal family and leading dignitaries adopted the area as their summer playground. Here they and their successors indulged their architectural fantasies and built a series of mansions, palaces and other landmarks that have survived intact to this day, providing visitors with a succession of breathtaking sights as they make their way through the winding paths of the town. 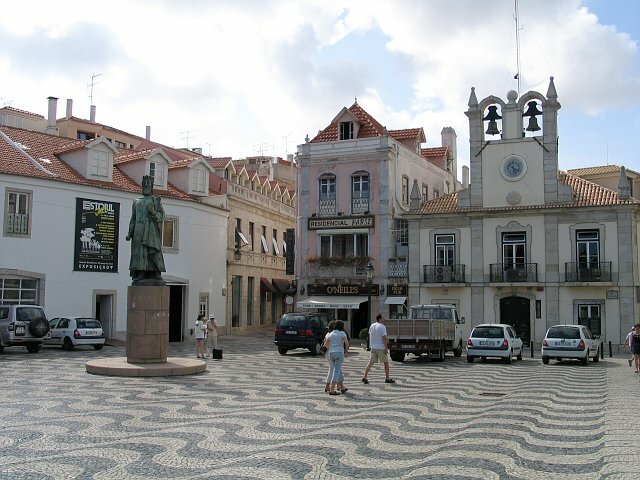 The mix of Roman, Arab, European and Portuguese design influences combine to create the impression that the entire town is a living, breathing museum, paying homage to the past and its eighteenth-century heyday. 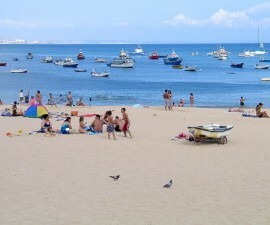 Depart Cascais early in order to make the most of your day. 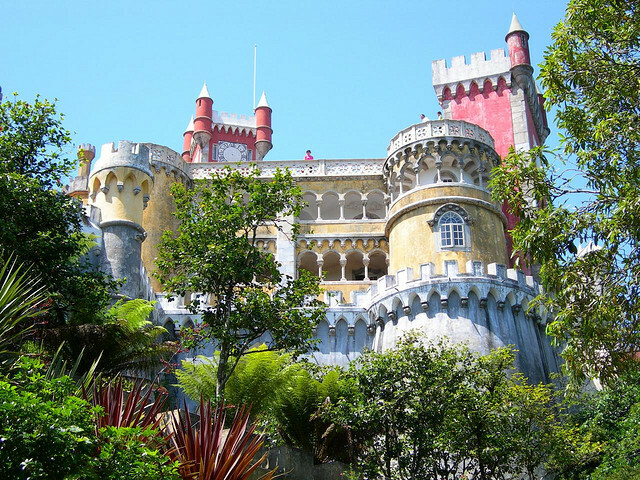 Dominating Sintra’s historic centre is the National Palace, the only Royal Palace dating back to medieval times that remains intact in the whole of Portugal and the perfect place to start your sightseeing in Sintra. Its gleaming white towers are a major landmark on the town’s attractive skyline and have become synonymous with the history, luxury and exuberance of the town. The National Palace combines Moorish, Manueline and Gothic architectural styles to breathtaking effect and is a study in extravagance as well as in design. Don’t miss the beautiful woven rugs, period furniture, ornate paintings and expertly designed azulejos, or Portuguese tilework. Sintra is a delight to explore on foot and the area surrounding the National Palace is full of charming streets and squares dotted with restaurants, boutiques and museums housing important historical artefacts. If you have time, take in the Regional Museum, the Museum of Modern Art and the Toy Museum, and for something a little different take a moment out to try a tour of the village in a horse-drawn carriage for a more traditional experience. Make your way from here to the Palacio Real de Queluz to admire one of Europe’s best-preserved and most ornate examples of Rococo architecture. The Palacio Real de Queluz was once the summer retreat of King D. Pedro II and Queen Maria I and yet another melting pot for a stunning mix of architectural styles spanning many centuries, from Moorish to Baroque and Manueline styles. The Moorish Castle is a dominating feature of the Sintra mountain range and has remained largely intact through the centuries to the present day. 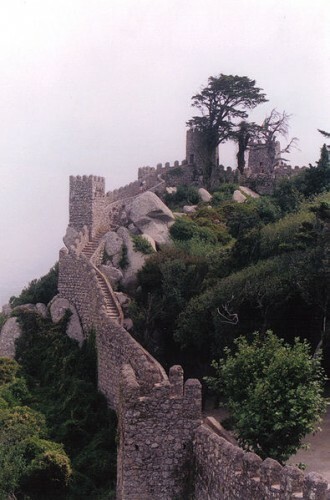 Its stone walls hug the curving hillside that runs from the town up to the Pena Palace and the Quinta da Regaleira, another major Sintra site is close by. The Moorish Castle merits a visit both to admire its commanding military architecture and also to admire the panoramic views it offers down across the mountain range to the lush green scenery below. Pena Palace is the next port of call on your Sintra itinerary. This majestic palace was built by King D. Fernando II and his wife, Queen Maria, in order to create the perfect retreat for the country’s royalty during the summer months. The Pena Palace is a designated UNESCO World Heritage Site – and with good reason. It offers one of the most eclectic yet aesthetically successful combinations of Moorish, Gothic, Manueline and even Indian-inspired architectural styles ever to be built. Its striking pastel colours at once light up and blend into the landscape of the Sintra mountains, creating eye catching effects and leaving behind a sense of mystery and awe in all those who have the good fortune of setting eyes on it. A series of dramatic turrets, raparts and domes characterize the exterior of the building, while inside is a showcase for beautiful artwork, period furniture and classic design. Take time to wander through the beautifully landscaped gardens to really appreciate the serenity and uniqueness of the Pena Palace’s setting. Stop off at one of Sintra’s delightful coffee shops for a drink and a typical ‘queijadinha’, or cheese tart, to restore your energy levels before heading to the Quinta da Regaleira, the UNESCO World Heritage Site located close to the Moorish Castle. 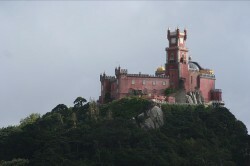 This magnificent mansion was built in the early twentieth century by the Portuguese nobleman Antonio Augusto Carvalho and is an eclectic yet aesthetically successful mix of Gothic, Manueline and Neoclassical styles. The entire Quinta da Regaleira estate runs to five stories and includes manicured gardens, water features and an ornate chapel, as well as a set of winding steps leading down to a beguiling area of “secret” underground caves and hiding places. Sintra village is easily accessible via train or car from Cascais or nearby Lisbon and there is plenty of transport on hand for visitors when you arrive in case you are daunted by the prospect of exploring on foot.